Last week I went to Max's Dog House in New Freedom,Pennsylvania with my Grandma and my 6 year old brother,Owen.When we got in,there where instrument's on a short stage.My Grandma said that people play there at night.Then we ordered food and sat down.I asked the waitress where was Max,the owner's dog.She said Max was taking a walk.Then I asked if I had permission to go to the play area,and she said yes.There was a computer,TV,and even a Play Station 3!I don't have a Play Station of any sort,so I asked for help.A teenage boy tried to help,but it was confusing.Just then the owner's son came in and helped us.But then there was another problem.On Guitar Hero 5,somebody had messed up the game,so we couldn't play anyways. But then Grandma said that our food was here.And speaking of food,did I forget the menu at the top?I think I did,so here's the menu.There are Hot Dogs named The Maximus,Polock Jockey,Italian sausage,Jamaican Bacon,Cardiac Pig,Ball Park,Nathan's Beef.There's more,but it's so long it would make you really bored at the end(to see the rest,click on the linked website on this blog post. 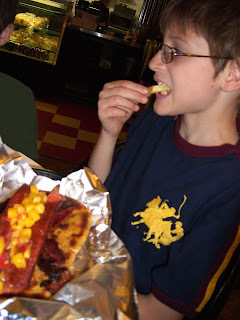 ).I had a Jamaican Bacon with French Fries, Churros and Fried Oreos.When I tried my hot dog it was too spicy,so I ordered another hot dog,the Ball Park.When I got it,I tried a bite.It was delicious!It tasted like the hot dogs that you get at Ball Games.And the desserts where fantastic!The Fried Oreos where better than when there not fried,and the Churros where a sugary sensation!I give **** star's for food and ***** stars for kid friendly.Well,that's all.Bye! A few weeks ago I went to the Green Turtle in Hunt Valley.The restaurant had just opened.When we got to it,it had a television outside showing a baseball game.When I got inside,it was like TV heaven!Everywhere I looked,there where TV's!When we got seated there was a tiny TV on the right of us and the controls on my side.I changed it to nickelodeon.A little while later they gave us the kid's menu.It had fun activity's on it for children.They had food like Turtle Tenders and Cheese Pizza.I had the Two Mini Cheeseburgers.When they got them,I realized they had pickles.Since I hate pickles,my mom took them off.Then I started to eat.It was delicious!The only problem was that there was no juiciness to the meat and no gooeness to the cheese(I made up gooeness.If you know how to spell it,say it in a comment).For this,I give *** stars for food and ***** stars for kid friendly.Well,that's all.Bye! Win a Gift Card to Peace a Pizza to Try it for Yourself! 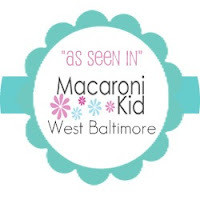 As you already know, Macaroni Kid West Baltimore loves the kids. 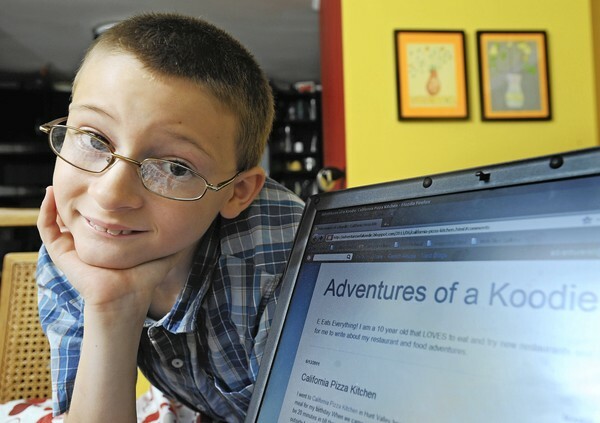 We also love to support our local businesses. So, we definitely love when we can do both at the same time. Our favorite guest writer, Eli, is back with another review from a local family friendly restaurant, Peace A Pizza.